840mm dia x 990mm deep on straight. Flat sloping base. Hinged top. 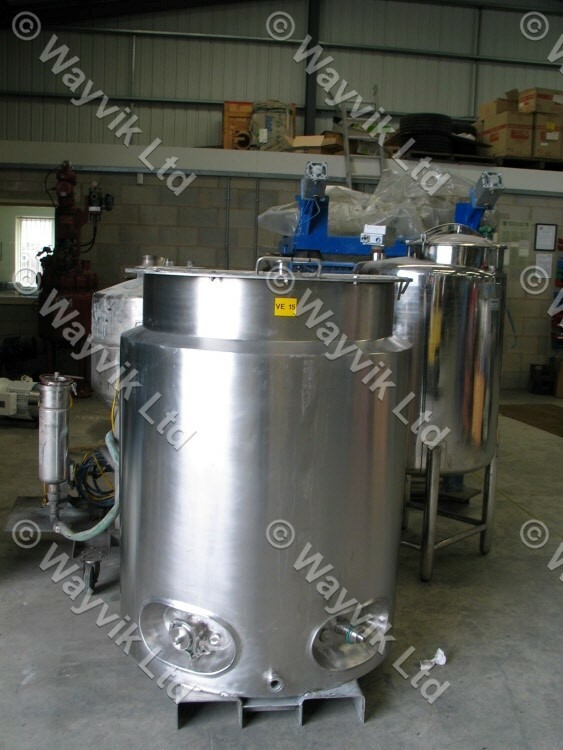 Full stainless steel jacket to vessel sides rated 3 bar working pressure. Mounted on two off stainless steel fork truck slots. Satin surface polish internally and externally.